The Moderator of the General Assembly has paid tribute to people carrying out work to clear deadly landmines in the Middle East. 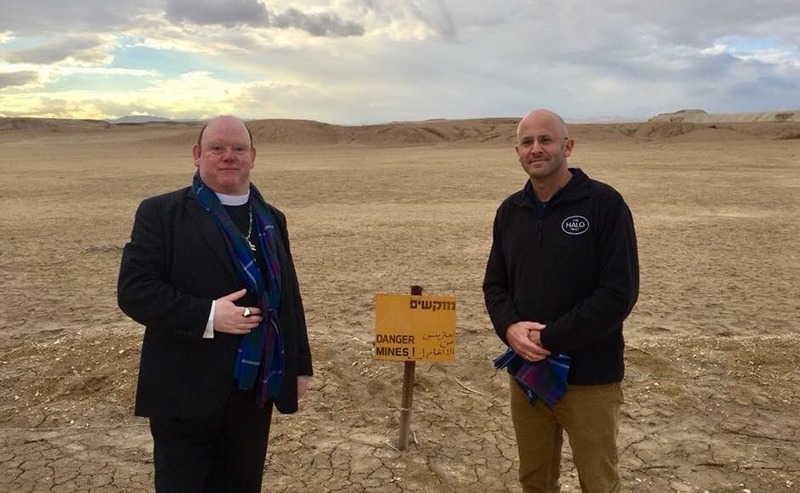 Right Rev Dr Derek Browning is currently on an official visit to Israel, Palestine and Jordan to meet with Church of Scotland colleagues and partners. He met with Ronen Shimoni of Dumfries-based humanitarian charity, the HALO Trust, which was founded in 1988 in response to the global catastrophe caused by landmines. Right Rev Dr Derek Browning and Ronen Shimoni of the Halo Trust. 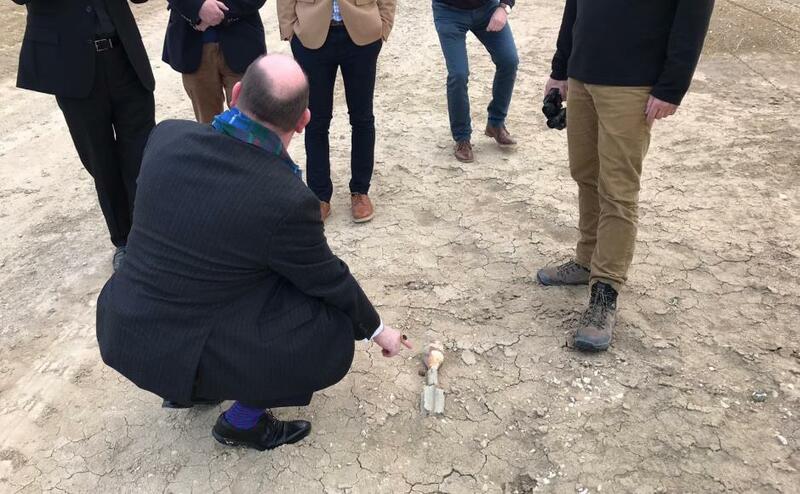 A delegation from the Church, including Robin Downie, Moderator of the National Youth Assembly, visited a baptism site called Qaser al-Yuhud. Work to start clearing mines from an area the equivalent size of 138 football pitches is imminent. Dr Browning said: “On my first full day in Israel-Palestine, I visited one of the sites where Jesus is reputed to have been baptised. “To walk past church sites on the Israeli side of the river which were mined and booby-trapped in 1967, to see the derelict buildings and cemeteries around them, and to know that today the HALO Trust, supported by Christian communities in the Holy Land, and the governments of Jordan and Israel, are working to make the area safe again is a powerful thing,” he added. “I can't help but wonder that the image of baptism, which is about new beginning and fresh starts, in a persistently troubled region in the world, can only be a good thing. “It brings people of different faith and political traditions together and helps them reflect not only on what has been, and what currently is. Dr Browning points to a landmine. 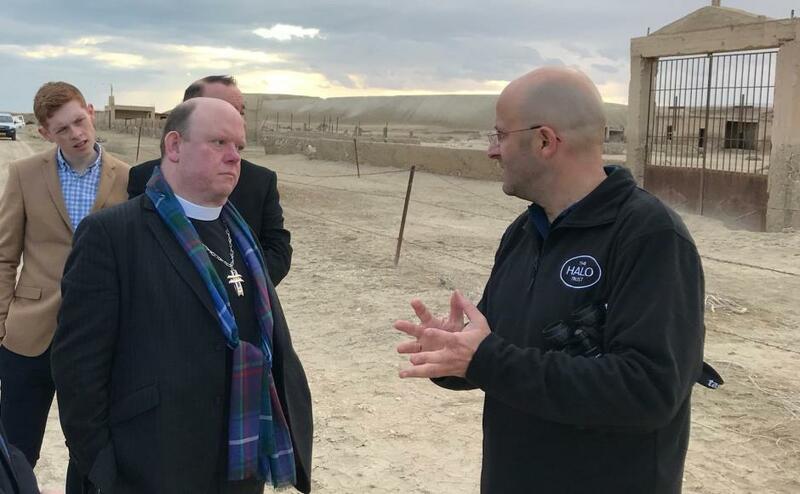 James Cowan, CEO of HALO said: "The HALO Trust is enormously grateful to the Rt Rev Dr Derek Browning and The Church of Scotland for its interest and support of our work on the Baptism Site. "Last time I visited myself, I was heartened to see three HALO de-miners – a Georgian Christian, an Israeli Jew and a Palestinian Muslim – all sharing stories about their families. "For me, this is what this project is all about. "It is an unprecedented act of inter-faith unity in the region." Dr Browning hears about HALO Trust's work.